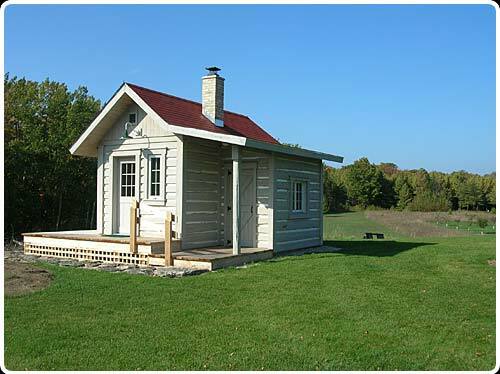 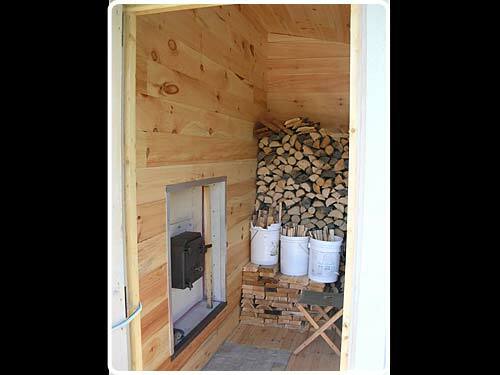 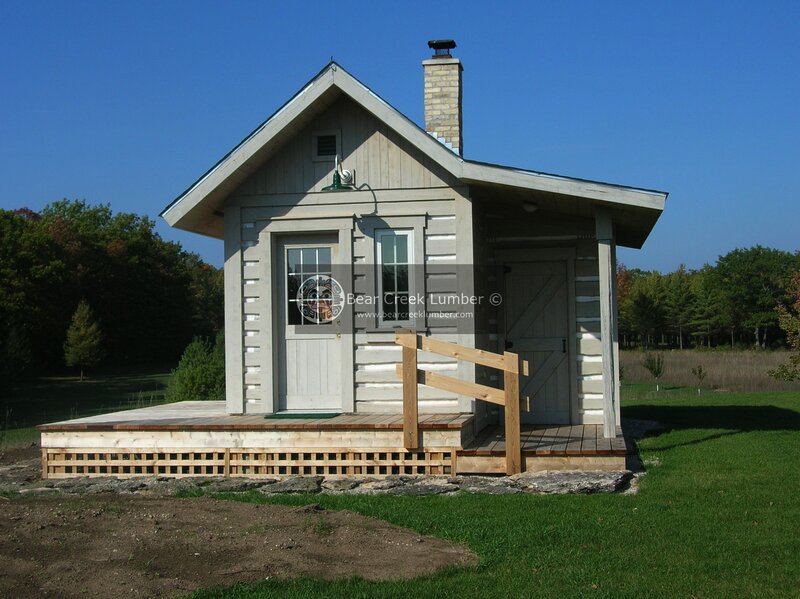 Exterior view of the sauna built by Jeff. 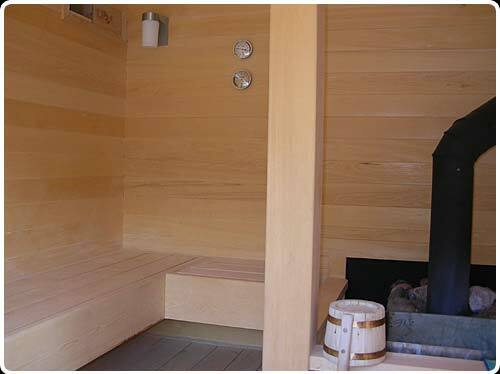 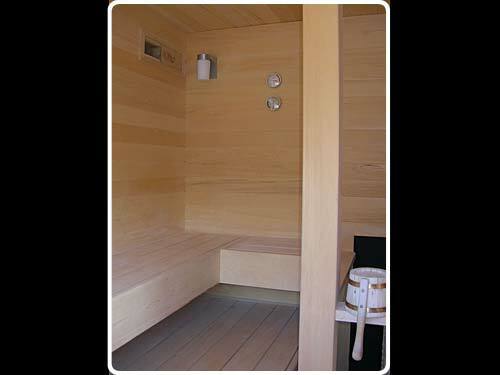 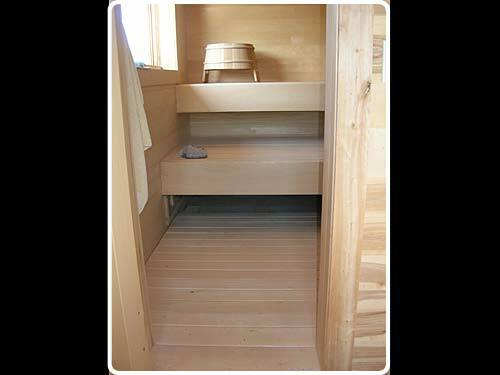 The sauna consists of a dressing room, a wood room and the sauna room itself. 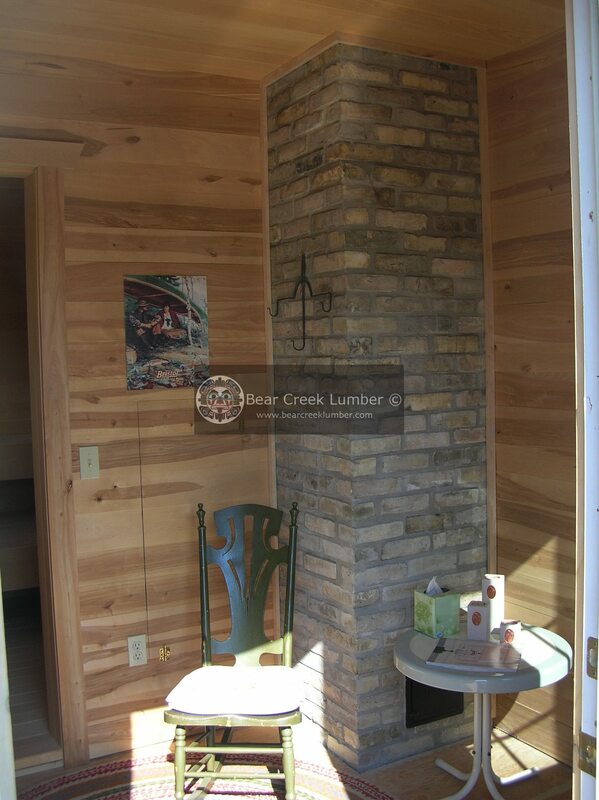 The wood room, to the side, is covered in pine tongue and groove. 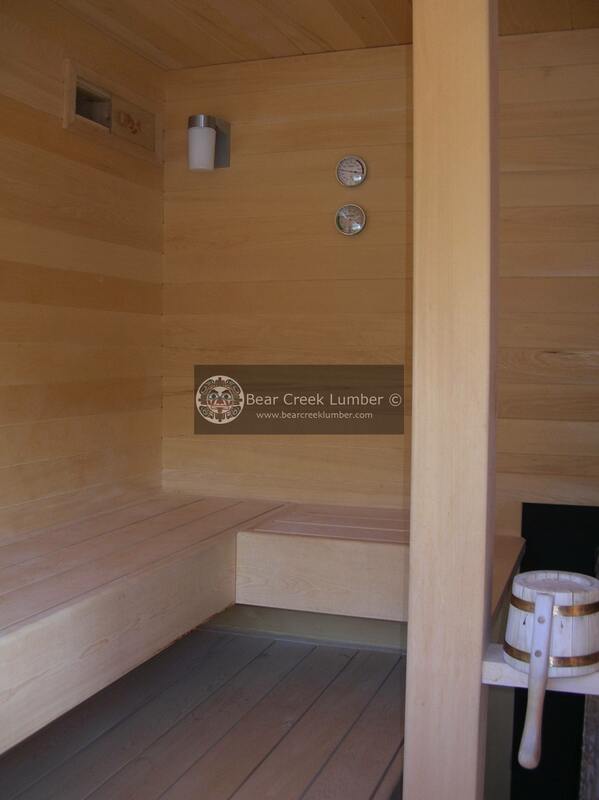 The dressing room has birch paneling on the walls, and alaskan yellow cedar trim on doors and window. 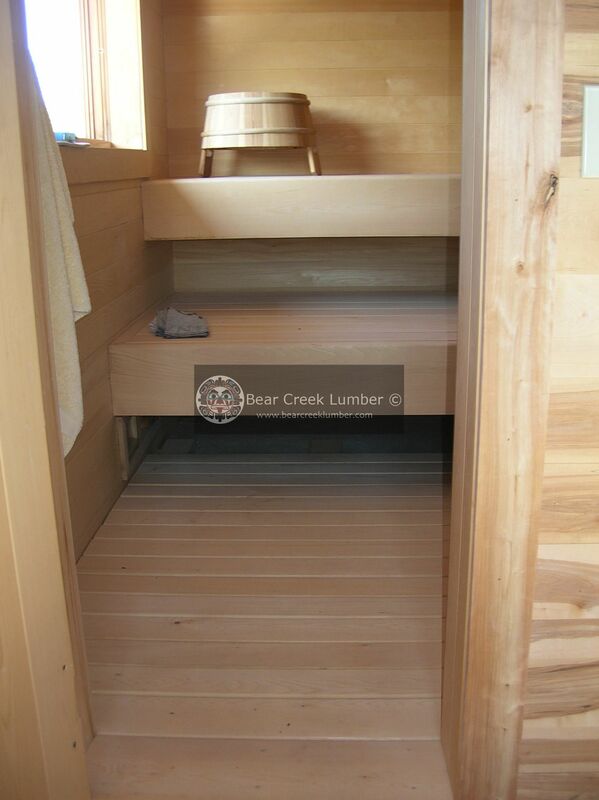 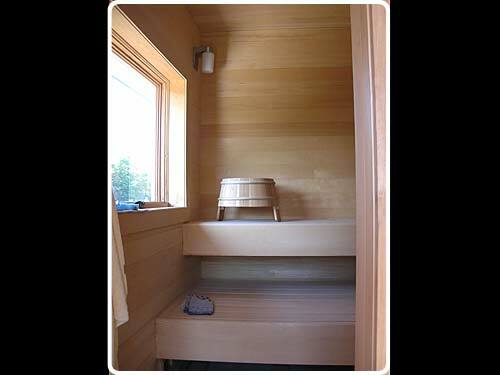 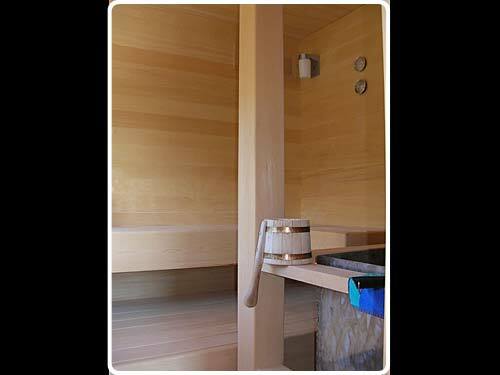 The sauna room is completely covered in Alaskan Yellow Cedar. 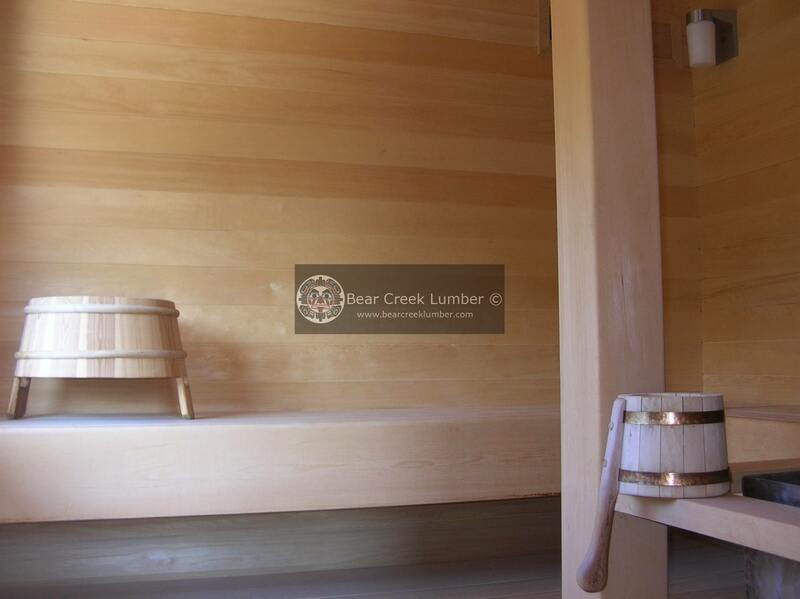 The benches are also AYC, 1x8 S4S boards..
A 6"x6" post of Clear Yellow Cedar. 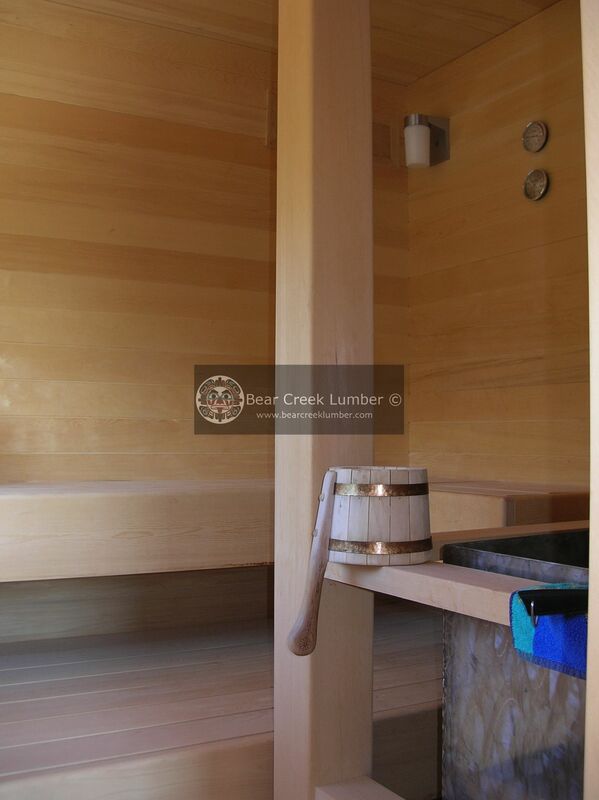 The water buckets were made with leftover lumber from the project. 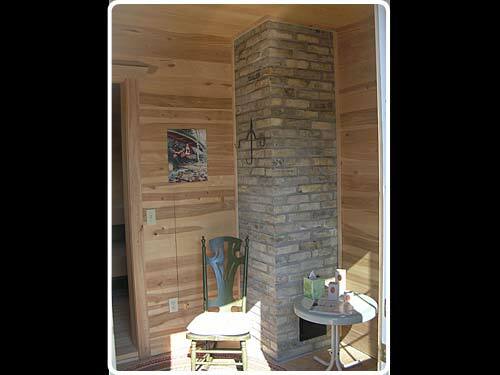 View of the heater and the cedar paneling. 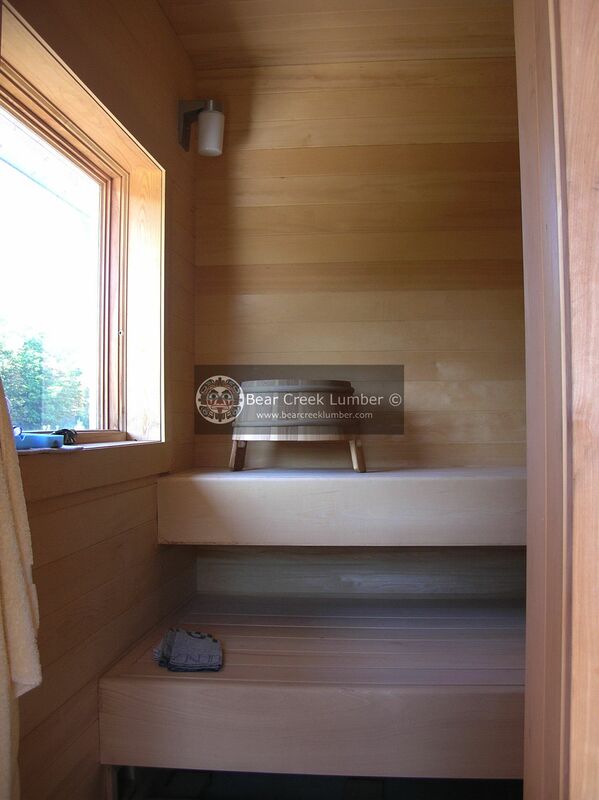 This is a D and Better grade cedar, finished with a smooth face and a flush joint pattern. 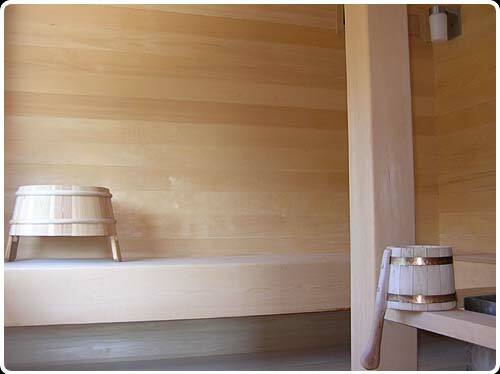 Detail of the temperature and humidity gauges. 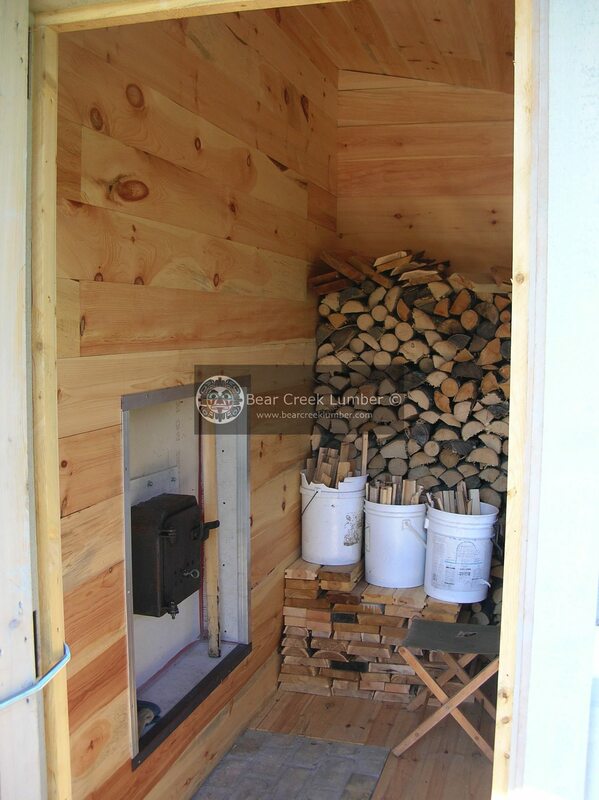 Thanks Jeff Schauder for sharing these amazing shots with us.